Years ago, the Lord gave me an idea for an illustration that I finally shared with the youth group. It turned out to be one of my most memorable lessons ever. It still impacts my own thinking. It was two days before our Poland trip and I had just cashed out all our trip spending money, so I had a huge stack of cash in my possession — not a common occurrence! During my talk that Wednesday night, I chose a volunteer from the audience (it happened to be Rachel Kearney) and I gave her a $100 bill. She–and the rest of the group–was astounded. Then I asked if I could give her another $100. And another, and another. People were flabbergasted and in total awe — some even stood up to get a better view. This went on for several minutes. By the time I was finished, I had handed her sixty $100 bills for a total of $6,000. Most people in the room had never even seen that much cash in one place. The stack was huge. That would pay for a decent car or two years at Kirkwood! The first point was this: God has given us immeasurably more than $6,000. For free. Just because He wanted to. More than $6 million; more than $6 trillion. If we were to quantify all his undeserved earthly blessings (life, health, family, abilities, resources, education, freedom, intelligence, friends, transportation, His Word, fellowship, utilities, technologies, communication abilities, etc) and the eternal blessings acquired by Jesus substitutionary death on the cross for our sins, we would see that we are truly wealthy beyond measure. And that’s just adding up His undeserved grace. If we factor in His mercy (the bad things we deserve–such as hell–but are spared from), we will find that we have far too many blessings to even begin to count! So what should our reaction be to God’s generosity toward us? Rachel had it right: Speechlessness. Application #1. When was the last time you were speechless toward God because of His generosity toward you? Back to that Wednesday night. With the huge pile of cash in Rachel’s hand, we then speculated on what her reaction ought to be if the person sitting next to her withheld from her a measly Quarter that she was owed. We agreed it really shouldn’t make a bit of difference to her. She’s rich beyond words, so why should that pitiful quarter make any difference at all to her. So the second point was this: We easily forget how wealthy we are in Christ and therefore we easily obsess over the “Quarter” that we think we need in order to be happy (a relationship, some material thing, an exotic experience, etc.). We ought to live in a constant state of exuberance, yet so often our thinking gets skewed and we believe we need this or that to be happy. We get depressed and anxious over such relatively insignificant things and we lose our joy. How it must break God’s heart when, having just abundantly showered us with innumerable blessings, we get mopey and gloomy over one unnecessary trinket we don’t have. It would insult the generous giver to fixate on an insignificant debtor. This truth hit home with me again even today. Early this morning I had lain in bed for two hours, unable to sleep, because I thought I needed to acquire a particular thing to be happy–dreaming about how wonderful it would be. Scheming ways to possibly obtain it. And then I remembered the “Quarter” and thought about how sad God must have been during those two hours while I blocked Him completely out of my mind’s eye because I was obsessing over the stupid “Quarter” that I didn’t have. I’m happy to say I apologized to God, repented of my sin, and then had an awesome worship time right there in my bed. I put my delight back in God alone and I found Him amazingly satisfying. I don’t need any “Quarter” to be happy. Application #2. 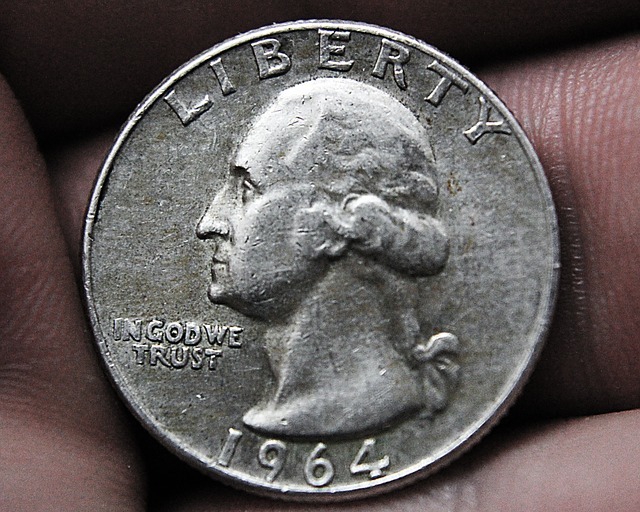 What “Quarter” are you currently obsessing over? Can you let it go and trust God to be your sole source of delight? These would be good questions to ask ourselves, probably every day! By the way, Rachel was kind enough to give the $6,000 back so we could go to Poland! The illustration falls short in that respect!